Lincoln is the man in the middle of the crowd, with head bent. Note the prominent "widow's peak." 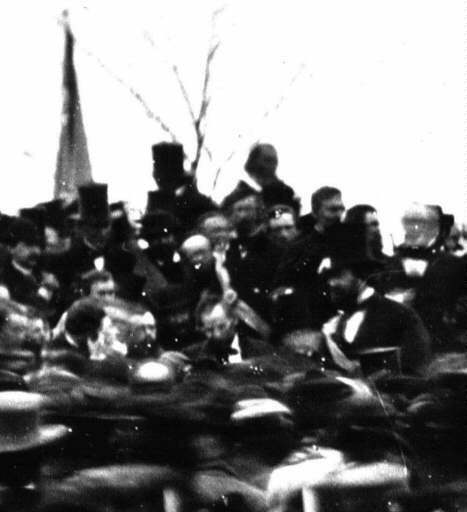 This is the only known photograph of Lincoln delivering the famously short Gettysburg address. No doubt the photographer expected to have more time to take pictures. The Library of Congress web site supplied this photo.